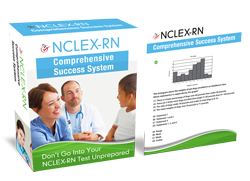 Your NCLEX practice should cover all tested NCSBN competencies in detail and at the same level of difficulty as the real exam. One of the two subsections of the Safe and Effective Care Environment category is “Management of Care.” This subsection consists of 17-23% of your RN test score. Make sure your NCLEX practice review questions cover this information. Below are some Management of Care NCLEX practice questions. 4.) The nurse finds smells smoke and finds a trash can on fire. What is her immediate action? B. Use the facility alarm policy. 6.) An unlicensed nursing assistant may perform which delegated task for a patient with an NG tube? 7.) Which of the following patients should be seen first by the oncoming nurse? 9.) The assigned nurse must administer her patient’s regularly scheduled medications within what time period? Use the answers to the NCLEX RN questions below to see how many you got correct. Reporting the error to the physician and receiving orders that will correct the error or prevent patient harm is the first priority for a medication error. A – Vomiting is contraindicated for many types of medication, and may harm the patient further. C – The variance report should include the procedure followed to correct the situation, therefore the physician should be contacted first. D – The supervisor cannot give the order for a potential emergency situation that may result from a medication error. The physician should be contacted first with the results reported to the supervisor. An allergy to bananas can be a warning sign for an allergic reaction to latex products. This procedure maintains the sterile field. A – Germs move readily through a damp or wet package and contaminate the sterile field. B – A broken seal can indicate that the sterile package has been contaminated. D – Sterile kits must be kept in a clean environment to decrease the possibility of contamination. Moving patients to safety is the nurses first priority. A – Alerting the staff ASAP is necessary; however, patients in eminent danger are attended to first. B – The facility alarm policy should be instigated to alert the staff once the nearest patients are moved. D – Nearest patients should be moved before attempting to extinguish the fire. Certain objects in the trash could increase the intensity of the fire if the wrong method or extinguisher is used. The religious group known as Jehovah’s Witnesses does not allow blood transfusions, or any blood derivative. B – This group allows surgical procedures. C – This group allows psychiatric treatment. D – This group allows hospital births. An unlicensed nursing assistant can perform oral care if a licensed nurse has documented that they were taught and have performed the task successfully with supervision. A – Only licensed personnel may perform tubal irrigation. B – Only licensed personnel may perform complication monitoring. C – Only licensed personnel may administer tube feedings. Feelings of indigestion and sweating can be signs of an impending myocardial infarction. B – This patient has no signs / symptoms that take priority. C – This patient has no signs / symptoms that take priority. D – This patient has no signs / symptoms that take priority. Massaging the thrombotic area can dislodge all or part of the clot and cause severe complications and death. A – Exercise before a DVT develops increases circulation and decreases the risk of DVT. C – Frequent labs may be necessary to test clotting time and the potential risk for DVT. D – Leg pain, swelling, redness, or hot spots are signs of DVT. If the medication is not administered within one hour (30 minutes before or 30 minutes after) the scheduled time a variance report, incident report, or medication error report must be completed. The type of report and procedure depends on the state and facility policies. B – There is no 5-minute rule. C – One hour early or one hour late constitutes a medication error. Medications are scheduled so that the therapeutic dose remains constant in the body. D – Oral medications fall under the 30-minute rule guidelines. A major complication of prolonged bed rest, even with regular turning, is pneumonia. A – A lack of ambulation has not been shown to cause aneurisms. B – Ambulation after surgery or injury has no relationship to gallstones. C – Seizures are not caused by prolonged bed rest. Prioritizing and scheduling tasks for each patient early in the shift will decrease chaos, make sure nothing is missed, and allow the nurse to be organized. This also helps ensure the safety of her patients. A – Skipping meals will add to the nurse’s frustration, and increase the likelihood of mistakes. B – Assistance may be hard to acquire on a unit that is already short staffed. D – Baths are important to the patient’s sense of well-being and to their health. Bathing patients keeps bacteria under control that can spread quickly through a facility. Then go to: NCLEX Study Guide Book And Test Prep Plan right now.